If there hadn’t been an Urban Sketchers outing this morning, I probably would have stayed in bed listening to the torrential rain and wind battering our windows and skylights. 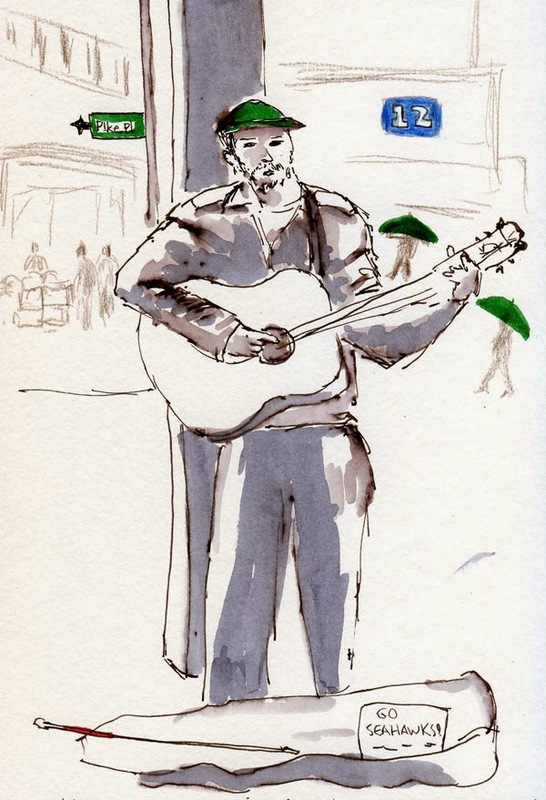 As much as I enjoy sketching at the Pike Place Market, doing so on a blustery, stormy day does nothing for me. Everything I like to sketch there is either outdoors or too close to the elements for me to be happy on a day like this. Despite the ridiculous weather, the Market crowds were already getting thick, maybe because many people were coming through on their way to the noon Seahawks game. 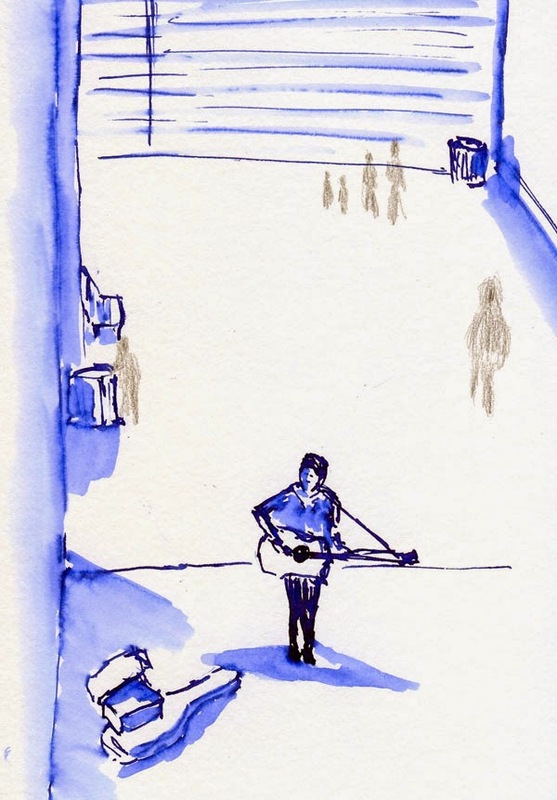 Before the crowds became daunting, I sketched a busker who was barely sheltered from the downpour just behind him. I might have been crabby about the weather, but it certainly didn’t keep others away: We had a terrific turnout, including several first-timers! 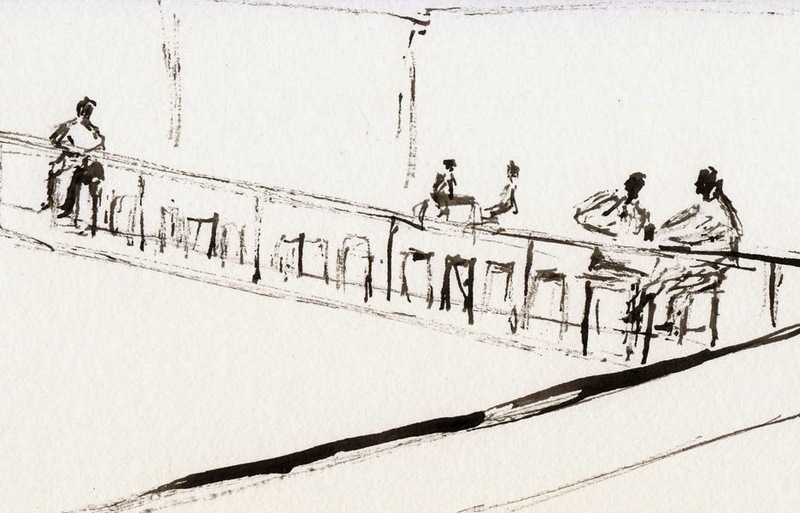 Only Urban Sketchers (OK, and maybe the Seahawks) can get people out on a day like this.